Ophthalmologists can protect themselves by being familiar with relevant laws and documenting their industry consulting efforts. Recently, federal agencies have stepped up their efforts to enforce health care fraud and abuse statutes by going after physicians’ personal finances. According to Allison W. Shuren, JD, it has been reported that there was a threefold increase in 2017 in the number of instances in which physicians and other individuals were personally responsible in settlements under the False Claims Act stemming from government investigations. This increase is due to a greater willingness in the US Department of Justice and the offices of US Attorneys to hold individual physicians financially accountable for their alleged fraudulent or abusive actions. GT discussed this trend with Ms. Shuren, a chair of the Life Sciences and Healthcare Regulatory Group at the law firm Arnold & Porter, where she represents clients in government investigations and qui tam actions involving the False Claims Act, Anti-Kickback Statute, Physician Self-Referral Statute, and health care fraud allegations. GT: You reported at the Hawaiian Eye Meeting1 that there has been a threefold increase in cases in which physicians are being held personally financially responsible for fraud and abuse violations carried out by their practices. Why is this on the rise? Allison W. Shuren, JD: Historically, the government has steered away from holding individuals accountable for settlement amounts, instead assessing penalties against corporate entities, but this hasn’t led to any real decrease in the perceived levels of fraud and abuse in the system. Whistleblowers and their counsels have long advocated that, in order to achieve real behavioral change, individuals—not only corporate entities—must be held accountable. If physicians and others have personal wealth at stake, the reasoning goes, they will pay more attention to compliance with fraud and abuse laws. GT: What is the difference between fraud and abuse, and why are they relevant to physicians? Ms. Shuren: Fraud includes, for example, obtaining something of value through knowing misrepresentation, concealment of material facts, or offering or receiving something of value in return for ordering a particular item or service or for referring a patient. Abuse includes any practice that is not consistent with the goal of providing patients with services that are medically necessary, that meet professionally recognized standards, and that are fairly priced. Often, abuse cannot be differentiated categorically from fraud because the distinction between fraud and abuse depends on specific facts and circumstances, intent and prior knowledge, and available evidence, among other things. Physicians need to also be aware of so-called waste violations. Waste includes incurring unnecessary costs as a result of deficient management practices, systems, or controls—including shoddy bookkeeping and accounting. GT: What can ophthalmologists do to protect their assets? Ms. Shuren: The best way physicians can protect themselves is to become familiar with the federal fraud and abuse laws that are most relevant to them: the False Claims Act; the Anti-Kickback Statute; the Physician Self-Referral Statute, often better known as the Stark Law for its author, Congressman Fortney “Pete” Stark; the Exclusion Authorities; and the Civil Monetary Penalties Law. Additionally, physicians can be excluded from participation in the federal health care programs for violating the Anti-Kickback Statute. Sometimes these exclusions are referred to as a financial death sentence because excluded physicians may not receive payment for treating Medicare and Medicaid beneficiaries. Commercial payers typically drop excluded providers from their networks as well. GT: How can ophthalmologists be sure to avoid violating the Anti-Kickback Statute? Ms. Shuren: They should avoid situations that could be perceived as asking for or receiving any remuneration—basically anything of value—in exchange for referrals of federal health care program business. This statute applies to both payers and recipients of kickbacks. Just offering a kickback could violate the law. The law prohibits obvious kickbacks, such as cash for referrals, as well as more subtle kickbacks, such as free rent, rent below fair market value, free clerical staff, or excessive compensation for medical directorships. Numerous physicians have been sanctioned for allegedly selling their product loyalty to drug or device companies or other vendors. For example, an orthopedic surgeon who was accused of accepting kickbacks from a device manufacturer in exchange for preferentially using its artificial hip and knee joints recently paid $650,000 to settle the case against him. GT: Is there an area in which ophthalmologists might be particularly vulnerable? Ms. Shuren: Ophthalmologists should be careful when it comes to industry consulting fees. Some ophthalmologists are more closely involved with industry than others, but all physicians will encounter representatives of drug, device, and biologics manufacturers or other suppliers at some point in their careers. Some physicians believe that free lunches, subsidized trips, and gifts are innocuous, but research suggests that these types of perks, in conjunction with the natural desire to reciprocate, can influence prescribing practices and generally affect how physicians act. 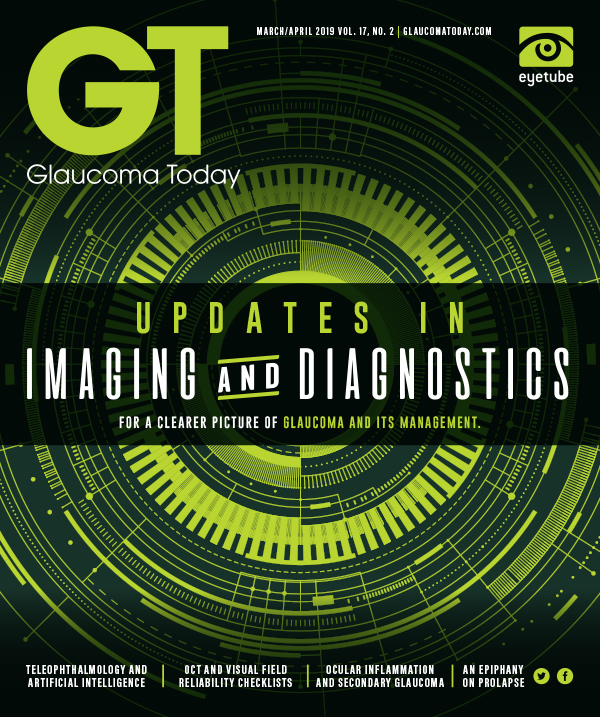 GT: How can ophthalmologists who have consulting relationships with industry avoid being penalized? Ms. Shuren: The key lies in careful record keeping. If a surgeon is collecting money from a company, he or she needs to be able to justify and support that a service was rendered. When we advise our physician clients, we stress that they must make sure that the company actually needs their consulting services and that the amount paid is fair market value for the services rendered. Physicians’ collaboration with industry is important for product development and for science, so we are not suggesting that ophthalmologists should avoid consulting. What we’re saying is that both sides need to pay attention and do it in the right way. There must be documentation; the government demands record keeping on both sides. Under the Sunshine Act, companies must report what they pay physicians for consulting. As the recipients of these payments, physicians have a responsibility to keep track of the money they receive. Lately, we have been working with several physician consultants. We try to help them understand how important this is and work with their staffs to develop spreadsheets to track and identify their consulting efforts. We stress that they need to be able to document, for instance, “Attended 4-hour advisory board at ASCRS.” It doesn’t have to be long or in depth—just accurate. 1. Shuren A. Trends in physician fraud cases. Presented at: Hawaiian Eye/Retina 2018; January 13-19, 2018; Maui, Hawaii.